Have you ever been tasked with tracking baseball/softball scores? You can do it on a paper or whiteboard. Why do that when you can use iScore to get the job done more effectively and efficiently? 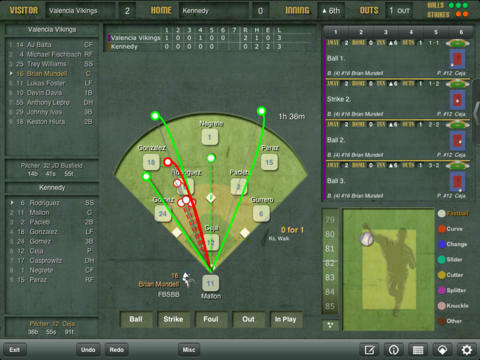 iScore Baseball / Softball Scorekeeper allows you to track scores, statistics, team information, and more. You will be able to share game information with others who could not attend your game. iScore has a sophisticated user interface. It lets you manage teams, team rosters, and players. 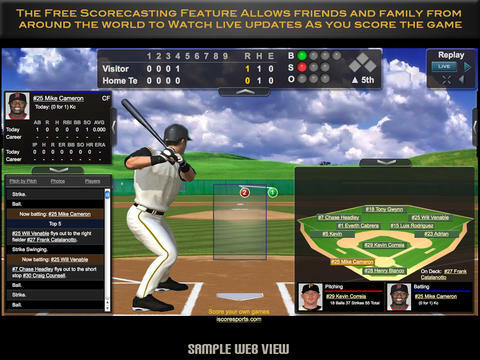 Users can track statistics for players in addition to pitch lcoations, types, and speed. The built-in iScoreCast/TwitterCast lets you share games with others (keep in mind the app does not record video). You can undo/redo and share your work with others in Excel, CSV, and HTML formats. iScore makes tracking baseball and softball games easy. It tracks teams, players, pitches, and everything in between. This is not a cheap app. It sets you back $9.99 just to start. Its advanced features do justify the price though.